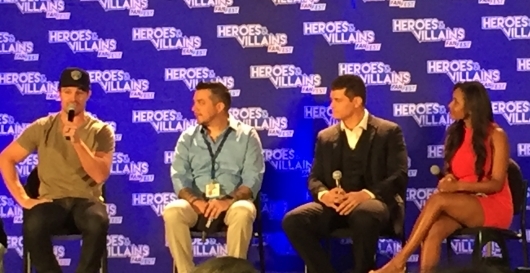 HVFF: Cody Rhodes & Stephen Amell’s Arrow Rematch! 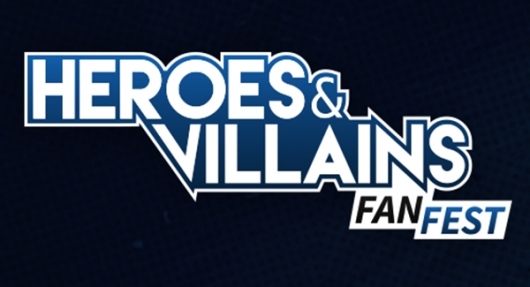 Arriving at the Heroes & Villains Fan Fest in Secaucus, NJ early this morning, my wife and I settled in for a long day meeting some of the biggest stars in entertainment, primarily in the DC TV Universe. Stars of the CW’s Arrow, and Legends of Tomorrow as well Fox’s Gotham were there, including headliner Stephen Amell, fresh off the conclusion of Arrow season 4 and his role as Casey Jones in Teenage Mutant Ninja Turtles: Out of the Shadows. Also at the convention was Amell’s arch nemesis from the world of pro-wrestling, Cody Rhodes; formerly Stardust in WWE. The two had engaged in a public twitter war for over a year, culminating in Amell participating in a tag team match against Rhodes and fellow wrestler Wade Barrett at WWE’s Summerslam last August at Brooklyn’s Barclay’s Center. During a joint panel between the two former foes, it didn’t take long for Amell to drop the big news; Cody Rhodes will appear in Arrow next season.